One-time darling of 90s indie cinema returns after 13-year hiatus. 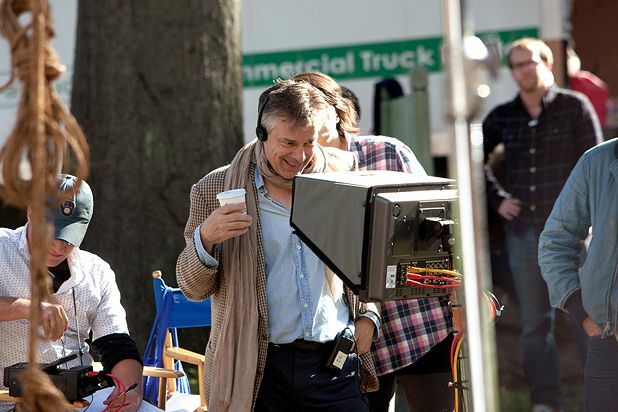 American indie filmmaker Whit Stillman was nominated for an Oscar for the script to his first film, 1990’s Metropolitan. He followed that with Barcelona and The Last Days of Disco, which cemented his reputation as an idiosyncratic talent. Then he didn’t make another film for 13 years. Here, he talks about his new film, Damsels in Distress and why it’s been so long coming. The titular damsels are a group of female undergrads led by the obsessive-compulsive Violet (Gerwig, good) who set about rescuing their fellow students from perceived ills. It's good to have director Stillman back after 14 years, even if the pointed wit has been replaced by studied silliness.